Hello Summer and Peach season! 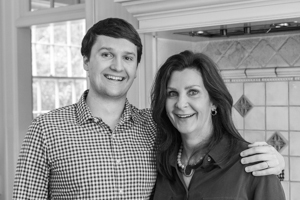 This is another post in the series, Recipes from before I was born…. I am still working on exactly how this blog series will go and what it will cover, but right now the emphasis is on foods where I don’t see a picture of them before I make them. I have to figure out what their “cookbook” picture would look like. This recipe is one that my girlfriend’s mom makes, so I am not sure how old it is. I only received the recipe on an index card, so it still fits into the category of recipes without a picture. 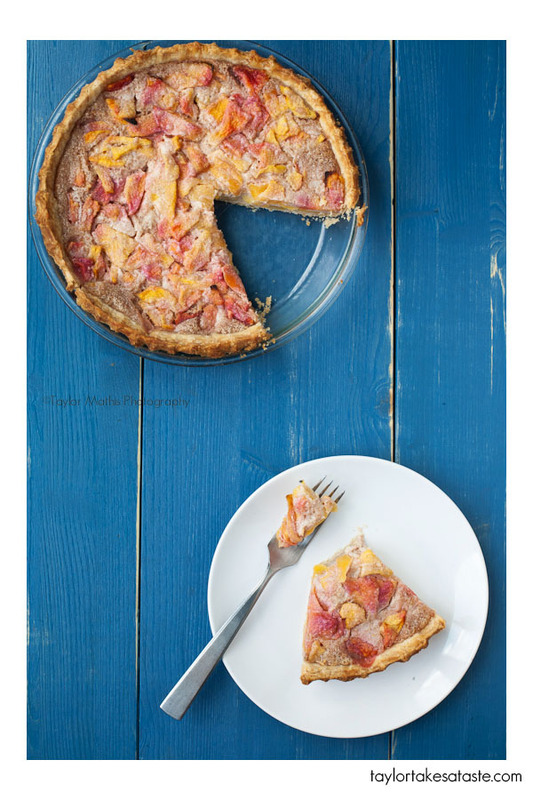 This pie is loaded with fresh ripe peaches and a delicious cream base. You bake it, let it cool, and then served it chilled. Here is a picture of my lighting set up. As you can see it is just a window and reflector. The same set up that I talked about in my post on controlling shadow contrast. Before shooting, it is always important to have an idea of why you are using certain props and what you are trying to say with the image. To me this recipe screams summer, so I wanted to emphasize that with bright colors and an outdoor feel. This pie has such beautiful yellows and oranges from the peaches. With blue and yellow being complimentary colors, I thought that a bright blue wooden background would go nicely with these yellows. With this being for a “cookbook” I decided to shoot vertically, and I wanted to shoot from an over head perspective. Shooting from over head for this picture was a good way to see a lot of the blue and yellow. There are many different ways that I could have shown the pie. I first tried just the pie dish, but with the horizontal frame it just never looked right. I was going to need more balance. I decided to remove a slice and have it on a plate. To balance out the frame top to bottom, I had the pie at the top and the plate at the bottom. I had them diagonal from each other to add more balance left to right. As far as props, I played around with having a napkin, but I really liked the simplicity of just a fork. I shot some without a bite taken away, but found that I liked the image with the bite out of it more. I spent most of my time just turning the plate and moving items around until I found what I liked best. You have to have a plan of why you are using certain props, textures, and colors in your composition and styling, but a lot of it is moving items around and trying new things. With digital images, you can afford to take a lot of pictures. Don’t be afraid to try something new! For you non photo folks. Here is the final image again with the recipe. Place pie shell in pan then add, in layers, enough peaches to fill the shell. In a separate medium sized bowl, mix the following together. Pour this mixture over pie. Bake at 400F for 35-40 minutes. Let cool completely. Chill in refrigerator overnight before serving. Best served chilled. « Cold things for a hot summer! Again you have done a wonderful job with this post!!! Just loved the blue background!!! Love the blue board background. The pie looks wonderful. Beautiful. The blue background is amazing! I have been looking all over the place for old unfinished or roughly painted boards, such as your blue one, but I’m having trouble. What do you suggest? 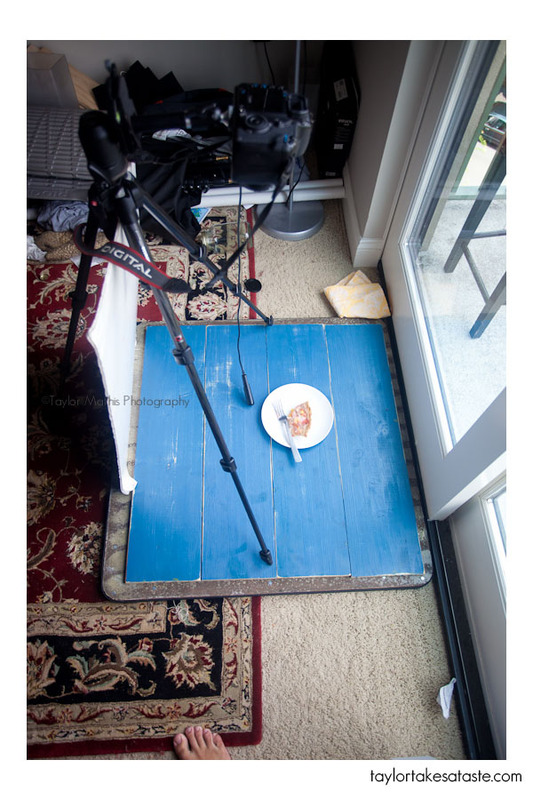 Hi Taylor, I bought a vintage crate, and chair, I was wondering if I can use fabric for food photos using the get-up ( which I normally use for product shots) http://global.rakuten.com/en/store/biteki-2008/item/10011094/ for food? That aside, I really look forward to seasonal desserts. I love when you show your photography set-up and talk about why you shot the way you did. This recipe is a favorite in my family. I too obtained it from an index card (from my grandma) and is before my time. My favorite cream pie combo uses rhubarb but I think any fruit/berry would work on this pie. However, my picture, with the rhubarb, doesn’t look as great as your peach. Your version sounds amazing! It’s truly delicious and so simple. Great post! I love the way you are teaching through these pictures – it is wonderful, and really helps. In fact, just seeing the picture of your set-up helps a lot. I am also writing because the day you posted this – I received Cooks Country magazine in the mail (from Cooks Illustrated) and they had the same pie in it. Just thought you would enjoy seeing an updated version. Keep cooking – wonderful job! 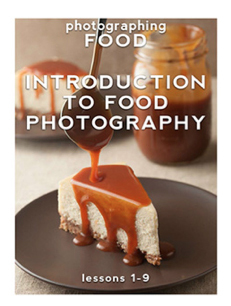 I am just dipping my toe into the world of food photography, and I love what you’ve done here. Thank you for the inspiration and practical tips.